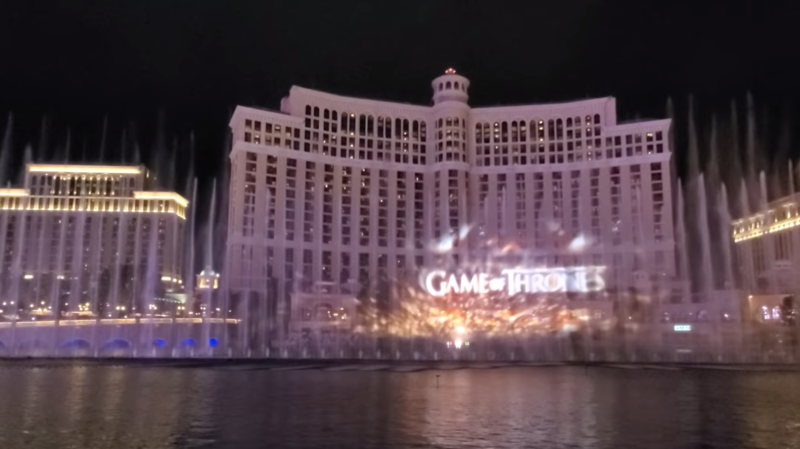 The Final Season Premiere is starting April 14th, 2019 and as the whole world awaits who sits on the iron throne at the end, Bellagio Las Vegas Hotel has collaborated with HBO Game of Thrones Composer, Ramin Djawadi to bring you their new Game of Thrones Fountain Show. Brand New Game of Thrones water show at the Bellagio in Las Vegas 2019. This is the first time the Bellagio water show has worked with a TV show and the first time they used pyrotechnics with the water show. The Game of Thrones water show will be at the Bellagio Fountains through April 13th. This show was done in collaboration with Bellagio Hotel and HBO Game of Thrones composer Ramin Djawadi.